I have written at length this year about my love for female-fronted rock bands. 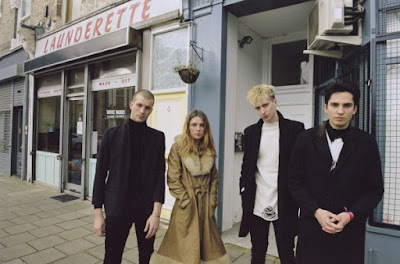 Well, I have been away from the blog for a few weeks but in that time period I discovered a new band that has released my favorite album of the year--Wolf Alice. They are British and one of the most original bands I have heard in some time. I won't even try to describe their sound, instead you can listen for yourself. "My Love is Cool", Wolf Alice's debut album was released on June 22. I heard it a week earlier on NPR's "First Listen" and streamed it non-stop. I ordered the vinyl and when I got my MP3 download on release day my love for the band continued to rise.